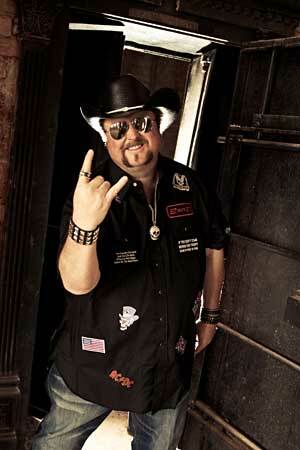 Country music artist Colt Ford will perform a free live concert to help celebrate the 2011 B.A.S.S. Elite Series Dixie Duel at Wheeler Lake. CELEBRATION, Fla. — Winning $100,000 and the most coveted title in bass fishing is like music to the ears of 99 Bassmaster Elite Series anglers vying to become the 2011 Toyota Tundra Bassmaster Angler of the Year. This Father’s Day, June 19, 2011, the Toyota Tundra Bassmaster Angler of the Year will be crowned at Ingalls Harbor during the final weigh-in of the 2011 Bassmaster Elite Series Dixie Duel tournament in Decatur, Ala., and to help celebrate, country music artist Colt Ford will perform a free, live 90-minute concert. The Dixie Duel, the last of eight regular-season Bassmaster Elite Series tournaments offering the chance to accumulate AOY points and move up in the standings, is hosted by the Decatur/Morgan County Convention and Visitors Bureau and will take place June 16-19 on Wheeler Lake. “I am always excited to play music and I will also be excited to see who wins the event and the title. I think that playing music and fishing for a living makes us all lucky and I will do my part to make sure everyone has some fun,” said Ford. In 2010, Ford performed more than 250 shows, including his Opry debut at the historic Ryman auditorium in Nashville, Tenn. He has sold more than 500,000 albums across all titles and earned his first-ever Academy of Country Music (ACM) nomination for Vocal Event of the Year for his collaboration with Jamey Johnson on “Cold Beer,” a song from his debut album, Ride Through the Country. Ford has also been nominated for a 2011 CMT Music Award for the Nationwide Insurance On Your Side Award — an award that recognizes rising stars known for putting on outstanding live shows. The 2011 CMT Music Awards air live on CMT, June 8 at 8 p.m. (ET). Fans can vote daily at www.CMT.com. 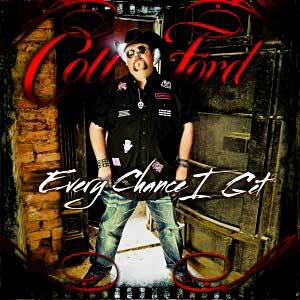 Country music artist Colt Ford's latest hit single is Country Thang from his new album Every Chance I Get. “Country Thang,” his fastest-rising radio hit to date, is currently available on iTunes. The song is the latest single from his new album, Every Chance I Get, released May 3, 2011. Bass fishing fans in attendance will get double their pleasure: They’ll witness two anglers hoisting trophies and checks for $100,000 each — one for the Dixie Duel champion, and one for the Toyota Tundra Bassmaster Angler of the Year. Daily launches are at 6:45 a.m. (ET), and weigh-ins begin at 3:15 p.m. (ET) at Ingalls Harbor, 701 Market St. SW, Decatur, AL 35601. Immediately following the final weigh-in of the Dixie Duel and the crowning of the AOY, Bishop Black will perform followed by local group Southern Comfort. Rounding out the day’s events is Ford’s performance followed by an elaborate fireworks display. Throughout the weekend, the event features activities such as Toyota Kids Casting Contest and Toyota Angler silkscreen T-shirt giveaway; Yamaha SHO Demo Tour; Evan Williams Bourbon prize giveaways; Mercury Power of Champions Tour; Berkley Demo Tank; Bass Pro Shops Kevin VanDam Prize Package Sweepstakes; Sci-Quest Kids Activity Booth; Alabama Marine Police Jet Ski Simulator; hot air balloon rides; Lowes’ Build & Grow; Spoiled makeovers and face painting; inflatables; a bounce house; and food vendors. In addition, 12 bands are performing for free to help raise money for United Ways' Disaster Relief from the April tornadoes that devastated Alabama and are part of the Family Jam Music Fest. They have a goal to raise $25,000 from donations. The bands will perform Saturday beginning at 11 a.m. (ET) and Sunday at 12 p.m. (ET). For more information, click here. This event offers activities for all ages, and would be a great way for a family to celebrate Father's Day. A free shuttle service is available from Leon Sheffield Elementary to Ingalls Harbor. For more information about Colt Ford, visit www.coltford.com. To keep a finger on the pulse of the tightest Toyota Tundra Bassmaster Angler of the Year race in three years, visit www.bassmaster.com/ttbaoy, and for information about the Bassmaster Elite Series, go to www.bassmaster.com/elite.